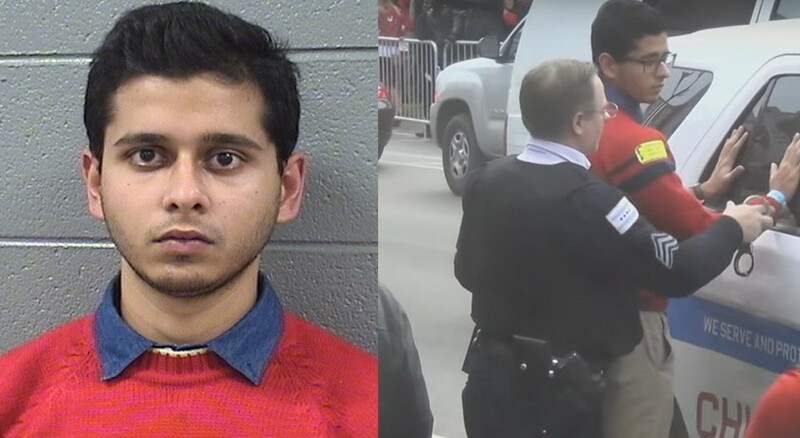 A 23-year-old Roscoe Village man is charged with criminal sexual abuse in connection with an incident during Saturday's TBOX bar crawl in Wrigleyville. Sudhanshu Agrawal is accused of putting his hand into a woman's pants outside of the Red Ivy bar around 1:35PM. His arrest was caught on tape by @the1stMikeC, a local resident and videographer. Prosecutors say the 24-year-old victim had become separated from friends in the TBOX crowd and screamed for Agrawal not to touch her as he allegedly committed the abuse. Bail for Agrawal, who lives in the 2300 block of W. School Street, is set at $100,000.